The Annual Wedding Show returns on 29th August 2009. Couples that book a wedding date enter draw which includes other prizes. Novotel Singapore Clarke Quay announces the return of the annual wedding show, showcasing its Grand Phoenix Ballroom and offering one lucky couple the chance to win a SGD8,888 cash back from the cost of their wedding with the hotel. Couples who book their wedding date and confirm with a paid deposit at Novotel's annual Wedding Show, on 29 August, will enter into the lucky prize draw to win the cash rebate of SGD8,888 from their wedding bill. 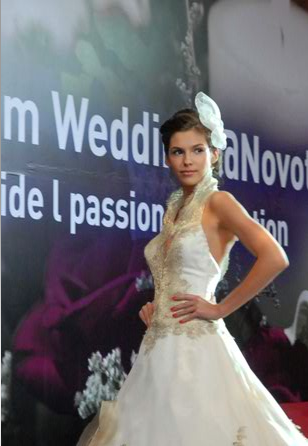 To register, and enjoy a 50% discount off the entry fee for the show, visit dreamweddingsatnovotel.com/show/index.html. In addition to the main prize, various other special prizes, including accommodation and airfare, will be won by other lucky couples selected in the prize draw during the Wedding Show. The Wedding Show, which is held annually at the Novotel, is an opportunity to meet with wedding specialists, on hand to guide couples through their special day, and key partners including bridal houses, limousine suppliers and photography experts. The event will also feature an interactive bridal show, with the latest designs and contemporary styles. With beautiful rooms, exquisite Chinese cuisine and immaculate service, Novotel's wedding service, Dream Wedding, gives couples a wedding ceremony to treasure and remember for the rest of their lives. Focusing on pride, passion and perfection, Dream Wedding has a banquet of wedding packages to choose from, catering for every event size and budget. For details of wedding packages for 2009 and 2010, couples should go to dreamweddingsatnovotel.com which also contains full information of the hotel's Dream Wedding service.